One of the most fascinating, yet forgotten, stories of the Civil War is its impact on African American music. Always central to African American culture, songs became key tools for slaves, soldiers, and freedpeople expressing their desire for freedom and seeking to change white perceptions of their intelligence and patriotism. While these efforts were not always successful, the war nevertheless fundamentally changed African American music as it became a key element in their fight for freedom. Christian McWhirter is the Research Historian at the Abraham Lincoln Presidential Library and Museum. 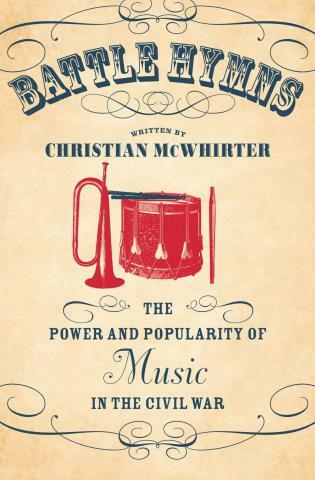 He is the author of Battle Hymns: The Power and Popularity of Music in the Civil War as well as articles and reviews in various publications. He holds a doctorate in history from The University of Alabama.